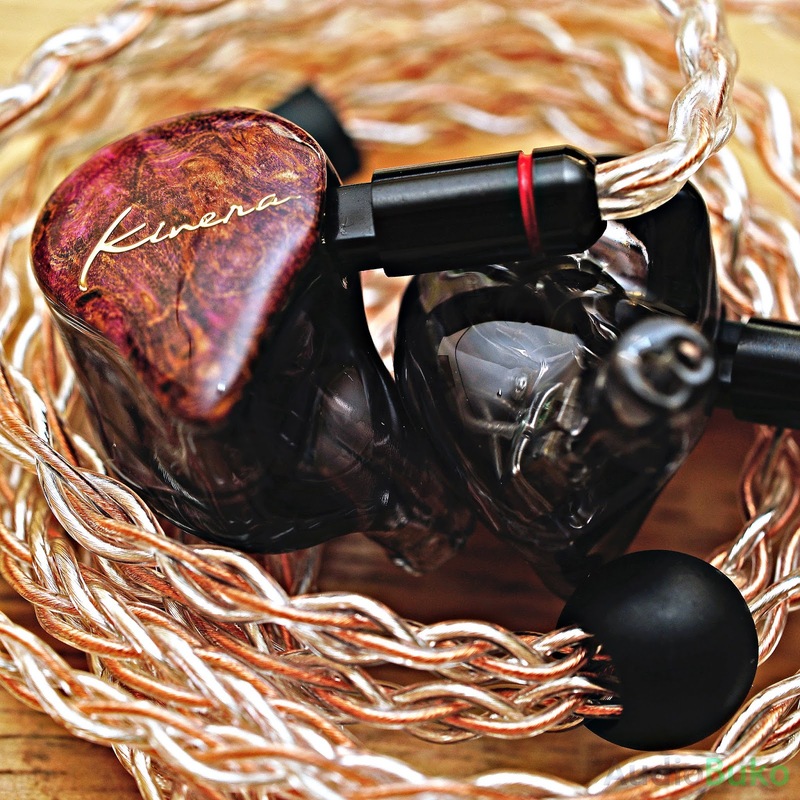 Introduction: Kinera is an audio company that has been around for quite some time, producing eye catching products from the most recent Seed to the well known BD005 (there are more I know), teased a month earlier, the triple hybrid Idun is their latest addition to their growing collection of IEMs. Idun in Norse Mythology (who is also known as Idunn or Iduna) is the goddess of spring or renewal and the keeper of the golden apples of immortality. 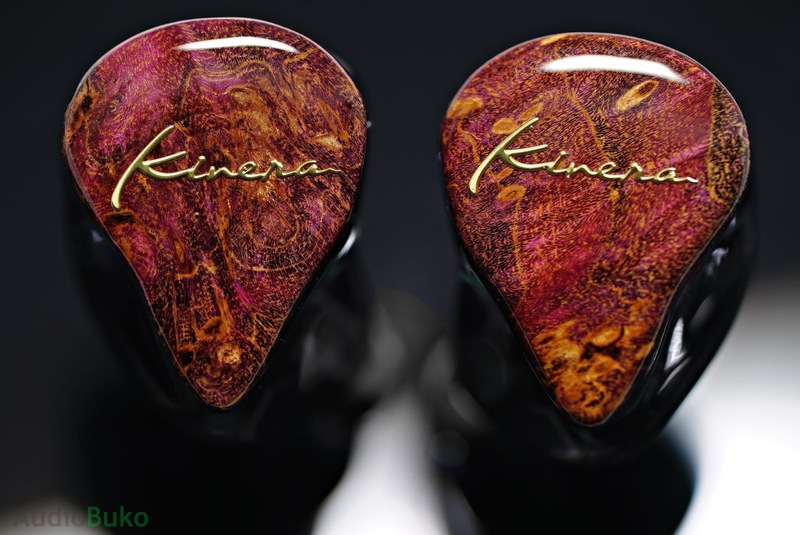 And as some have stated before, this is a bit lofty in terms of naming hierarchy, from the Kinera Seed to a deity, but I get what Kinera is aiming for with the Idun and maybe this is what it will take to revitalize Kinera as a serious contender for your audiophile money. The Idun I have is the limited edition version, and while a regular version will be released soon after, both limited and regular will have the same configuration, internal parts, cables and tuning so this review will still hold for the regular version. The only difference with the regular is the face plate design and shell color, possibly more and/or different accessories as well as the spiffy packaging box, all for $139 USD. I would like to thank Kinera for the Idun which was provided as a sample for an honest and unbiased review. By the above graph, there is a small scoop in the 500-800Hz and a rise in the 2,000-3,000 Hz frequency which may hint at a V or U shaped signature but we'll see later in the Sound Stuff section if this holds true. The Idun can be driven rather easily and loud enough with it's 112 sensitivity (give or take 2 decibels) and at 32Ω, the Idun is within threshold for mobile use (remember those old iPod earphones? They were 32Ω! ) Though from a bit of experience and literature I've read through the years, at around 32Ω (generally from 25Ω upwards) some ear gear may need better powered sources to give it's best performance. Unboxing: The Idun came in an aluminum and plastic case that contained the 3 pairs of standard silicone tips and 3 pairs of colored core hybrid tips, the cable and the Idun IEMs. The case is a nice container for the Idun as it's spacious and feels able to protect the contents from knocks and scratches which is a welcome change from the typical zippered rigid pouches. The tip selection is a bit underwhelming (thanks to Ibasso's stellar tip selection in the IT01) though the two types of tips are both good for variety and fit, something like foam and/or double flanges would help round up fitting the IEM in most ears. Also, as this isn't the complete retail package, Kinera has a chance to add or keep the existing accessories for their retail release, I'll update this section when the time comes. 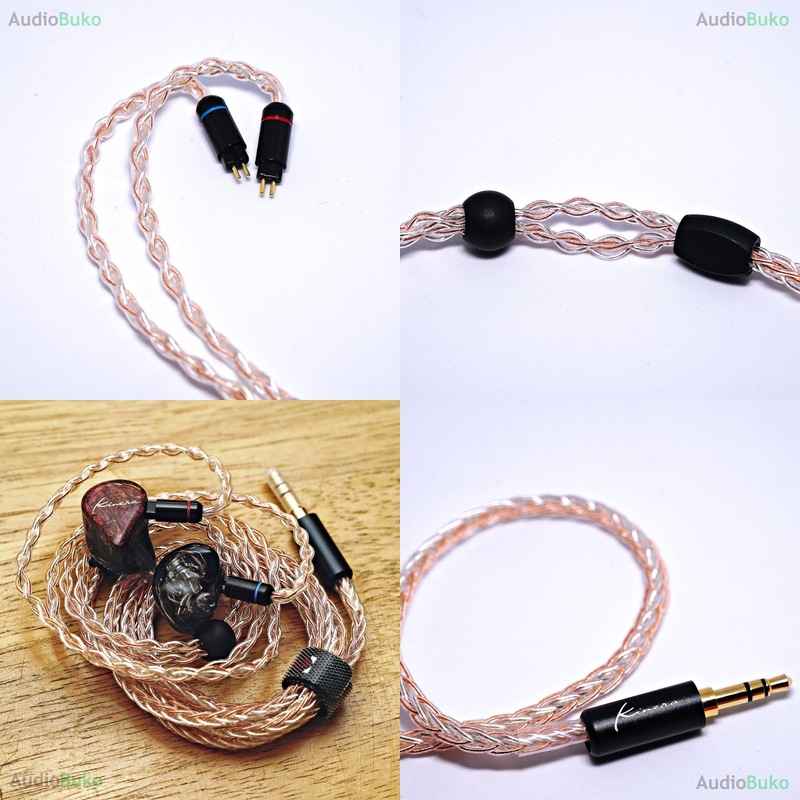 Cable: The hybrid 8 core copper and silver cable is a very pleasant surprise and though the construction is a bit loose (No strain relief at the plug or interface plugs) it seems sturdy on my copy as I've already removed, re-attached and used the cable on different IEMs and DAPs. The cable is light at 22 grams, very flexible and is covered by an almost matte texture jacket that is not sticky. I've wondered how Kinera could afford to put this type of cable on the Idun at this price range but that's a mystery for another time. The 2-pin interface plug is (I believe) the same one on the Seed, a metallic screw on cover and plastic core with the pins made of gold plated copper with a red and blue ring to easily identify left and right plugs. The flat oblong cable splitter and bead like chin adjuster is made of matte plastic that is unbranded (which may or may not carry branding like the Seed on the regular release.) The 3.5mm jack is again, similar to the Seed cable jack, a metal jacket with the Kinera branding and gold plated plug. Note that there is a light plastic sleeve at the opposite end of the jack which covers part of the the wire and provides a bit of rigidity at the jack end. 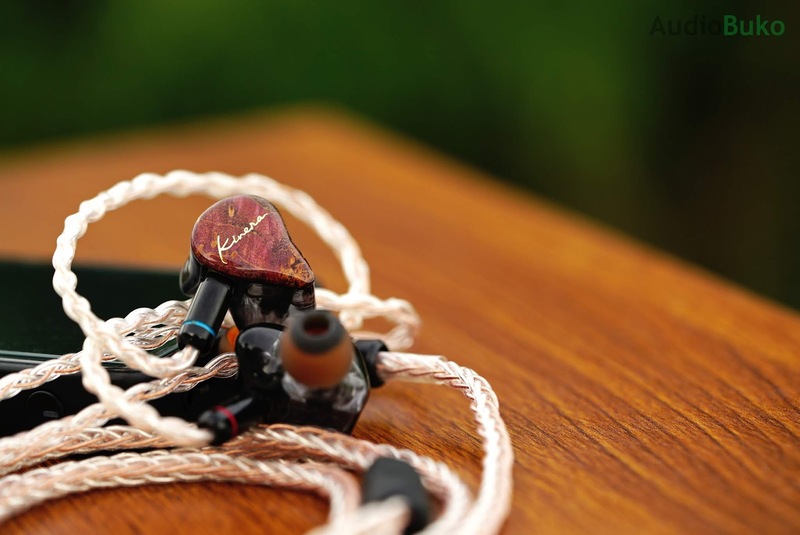 The Idun limited edition IEMs have stabilized wood face plates that are tinted like the color of a ripe apple skin, and you can easily tell it's wood with all the grain and ring details that is unique with each set. 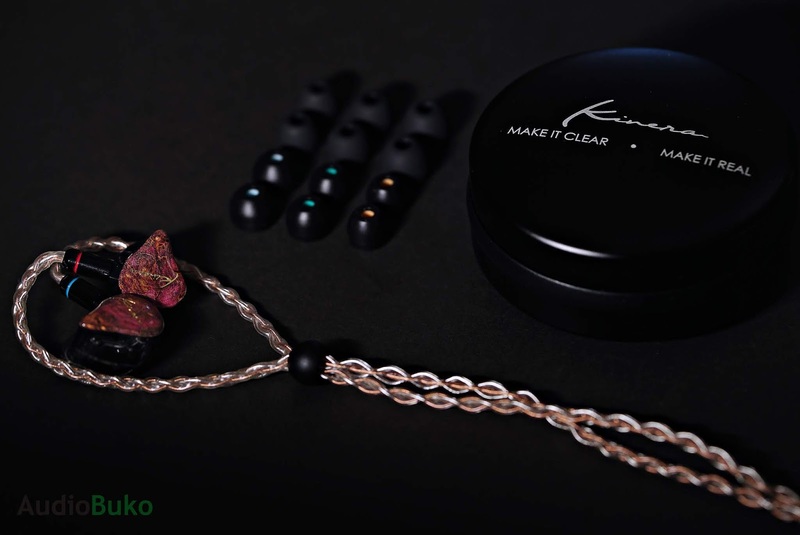 This is my first IEM with a stabilized wood plate and they look really gorgeous (specially under the right lighting conditions) though the standard edition will have a beautiful look all their own once it's released, you can check Kinera's sample pictures on Facebook HERE. The smooth smokey translucent underside of the Idun is similar to the Kinera H3 shell where it's a near custom fit design that's very comfortable to wear and with no part poking painfully in my ear. It's comfortable enough for me to actually sleep with it in my ear or wear it for long periods of time. There is a single exhaust hole near the rear side of the IEM and internally, you can see that the wires used we're either SPC or silver. The nozzle tip has a good sized lip that helps keep various tips in place on the IEM and not in your ear (if properly attached), there are two sound holes for the 3 drivers inside and it's not protected by a screen so be careful with having stuff go in. The 2-pin receptacle in the shell is two halves of a circle and in my experience, is better at retaining it's grip through time than a single cut receptacle. 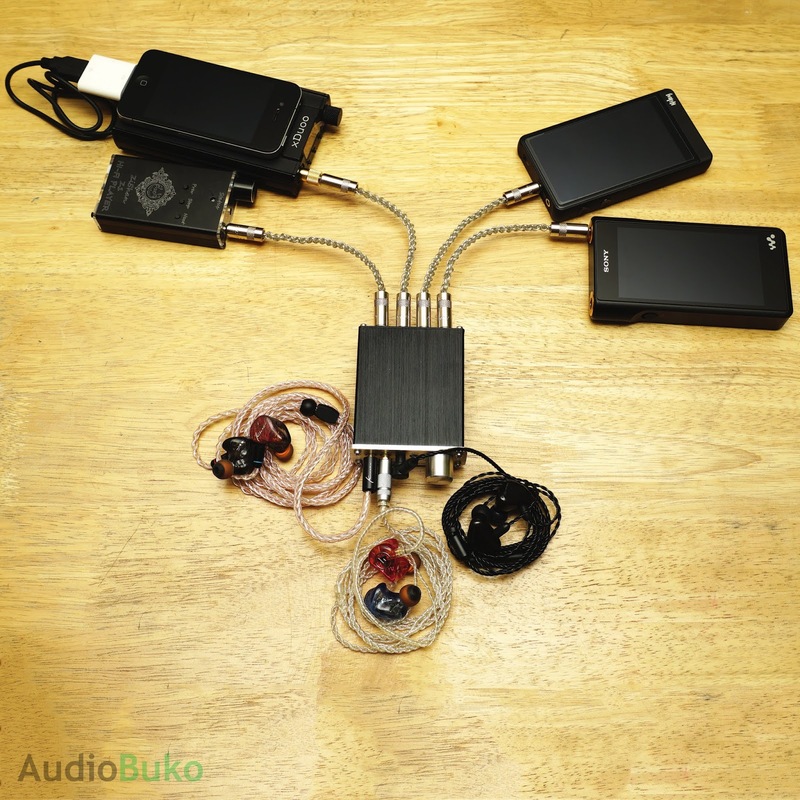 Sound Stuff: The first time I tried the Idun, the mids were practically screaming "I am here! Notice me!" while the bass took a bit of a back seat in the awe department as the treble took second place; clear and present mids, sparkly highs, and good fast bass is what I'd describe it. Overall it sounded pretty good with a rather balanced tonality that seemed eager to show you every detail in the song without your ears bleeding in the process, and that's always a plus. To satisfy the believers, I've used (sometimes read as burned in) the Idun for 150+ hours on various music and evaluate them using Symbio W tips as I find them pretty balanced in it's all around enhancement of sound. Bass: Sub-Bass extension on the Idun is pretty good with a little above average depth that can be felt and heard well, the moderately quick decay helps clear up the bass and present a good resolution of tracks like The Day the World Went Away/Lithium and still give a nice amount of rumble. Mid bass is good and clear with a moderate punch that sounds natural and satisfying with tracks like A Foggy Day/My Curse. Overall, the Bass of the Idun has speed and good control that prevent's the bass from muddying the mids and has enough bass reach, impact and rumble to please listeners who aren't too fond of strong bass presence. 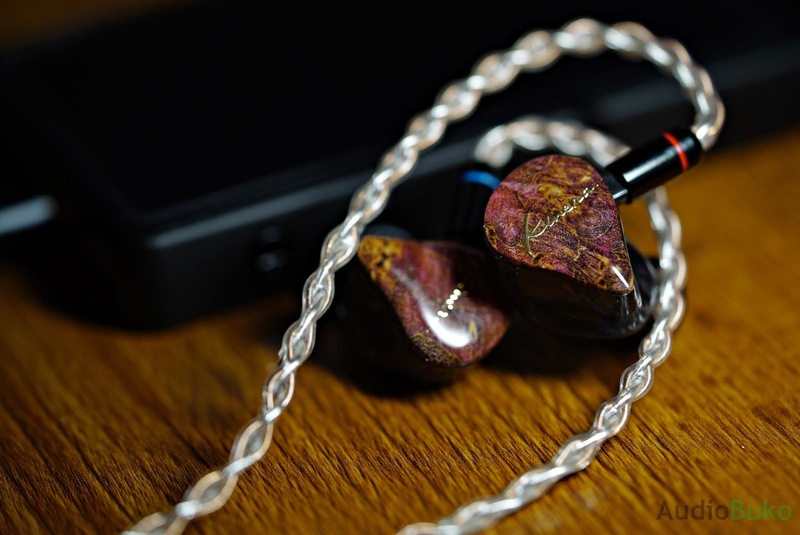 Mids: Like I mentioned earlier, the mids are the main attraction on the Idun (for me), and at the same time, the most responsive frequency to the source of the IEM. On balanced to neutral DAPs like the R6, male vocals are neutrally placed, sound good and meaty with strong presence on rock/classic rock tracks and on tracks like Photograph, there is a warmth and body that gives Ed's voice a more intimate measure. On Dap's like the Zishan Z1 and my Huawei P9, male vocals can sound a bit less thick that they sound average to sometimes thin (on the iPod Touch 4th gen, it's almost really thin). Female vocals have a slight forwardness and enough warmth to sound intimate and natural with tracks from the likes of Adele or Sia, maidens with thicker vocals naturally sound even better on the Idun. Instruments sound good and crisp on the Idun, layering and separation here lends to really good transparency in any track played. 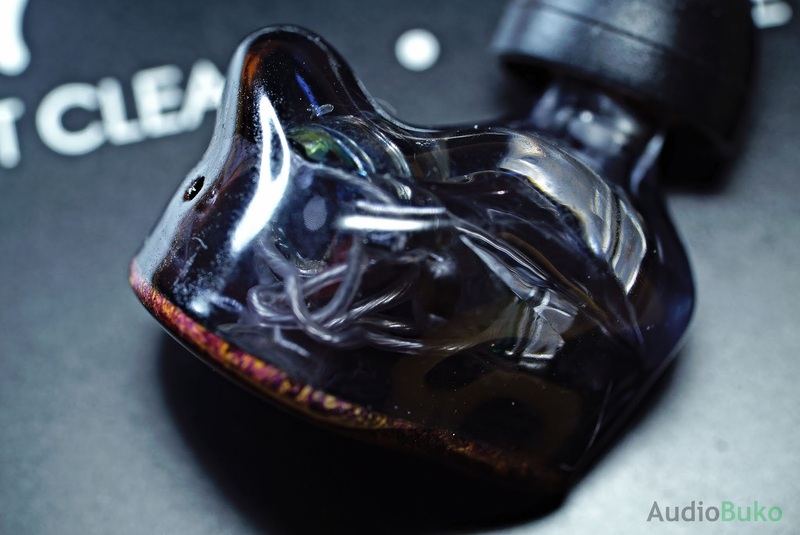 This clarity can make you feel that the mids are a bit more forward as they have a higher than average reach, and resist congestion to deliver a well spaced and engaging experience. Highs: There is air and clarity with the treble of the Idun, and a good amount of extension that makes instruments sound natural, specially cymbals which bloom in their sound without sounding harsh in the process. This control extends to sibilance as there is no distraction on even the most sibilance prone songs. Strings, whistles, harmonics are crisp and sparkly in this area and provide an energetic accent to the music. With the R6 (and devices that have similarly high output impedance) on the Idun, the BAs shift a bit forward and can induce a little bit of sibilance while harsh highs are still controlled. Soundstage: The Idun has a wide and natural sounding stage that is horizontally wider than it is vertically deep, this reduces congestion by a good degree. Positioning of sounds, instruments and voices is accurate; overall, the Idun's soundstage is pretty good. The V3 and Idun have similar tonalities and hybrid configurations but vary in reach and quantity. Bass extension on the V3 is nearly the same with an advantage with the V3 being a bit deeper but also a little slower in decay that lets rumbles last a bit longer and with more feeling. Trade-off is that the Idun has better clarity, and separation specially factoring in the faster decay that lets the bass stand clear of the mids. The V3 bass hits harder than the Idun at nearly the same speed with the Idun still being faster and a little bit more natural sounding. The V3 has an overall more restrained mid section than the Idun, where the Idun's tonally reaches higher and with more clarity than the V3, it can make the Idun sound almost more forward though the V3 has a more forward position vs the Idun's. The V3 has a bit more warmth and thickness than the Idun but there is more crispness on the Idun, and though both are able to retrieve a good amount detail, the separation and clarity on the Idun lends to a more spacious listening experience and a more intimate presentation on the V3. 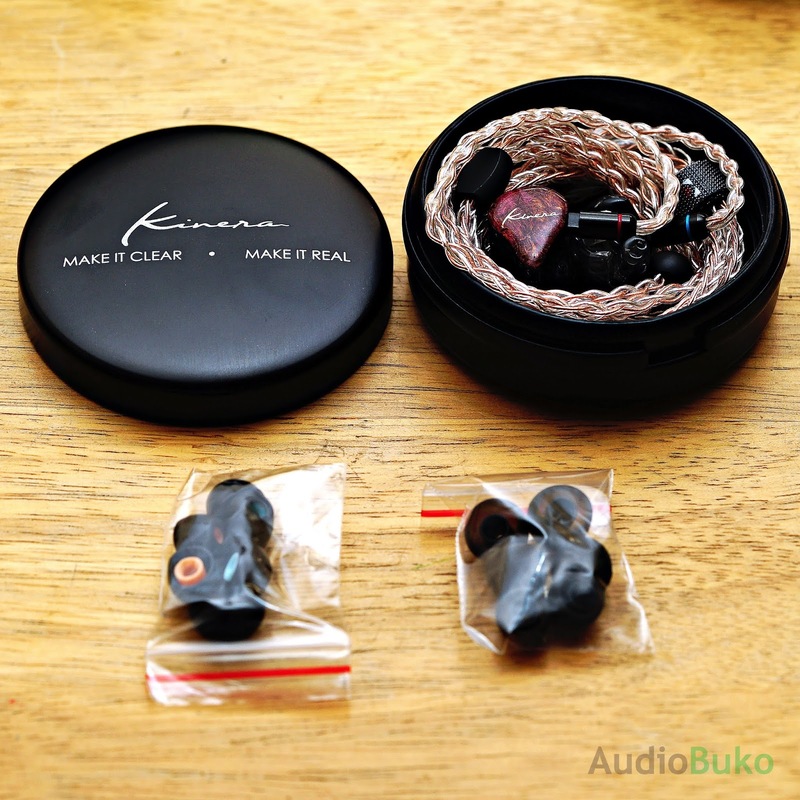 Kinera's Idun has higher reaching treble areas with a bit more air and separation which gives it more sparkle and clarity than the V3 which has a more restrained treble area which will benefit very treble sensitive people. 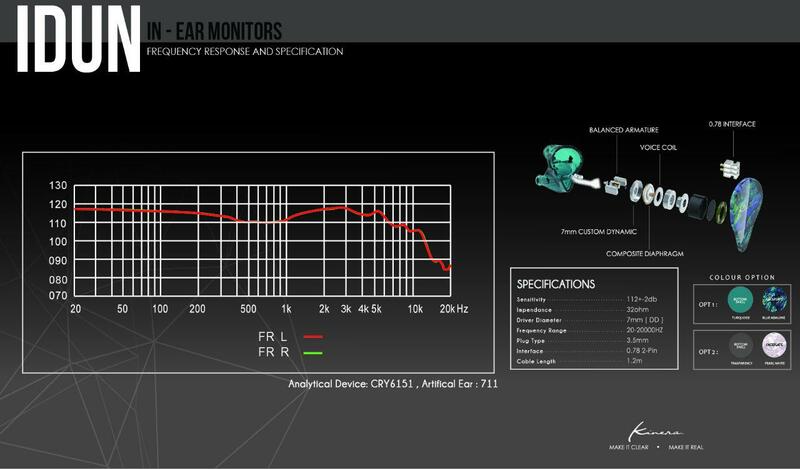 Both are able to retrieve a good amount of detail and can aid in providing an energetic listening session. Sibilance and harshness control is similar thought he V3 is naturally better due to the more restrained treble area. Soundstage is horizontally wider on the Idun but vertically deeper on the V3. Both have accurate positioning and are good at reducing sound compression with the Idun a little bit better in layering. The IT01 has a bit more difference in tone and ability than the V3 and Idun, for one, the IT01 being a large single DD, it can dish out more bass with deeper sub-bass extension and a slower decay for that sweet lingering rumble than the Idun, even with that, the IT01 isn't that far behind in articulation of details or bass clarity vs the Idun. Mid bass still finds the IT01 punching harder than the Idun though both are good at controlling the bass for accurate presentation and so it doesn't bleed into the mids, there is a bit more control with the Idun. With the mids, both the Idun and IT01 have a neutral positioning of vocals and sound with the IT01 being a tiny bit recessed with male vocals and a bit more neutral forward for females vs the Idun. 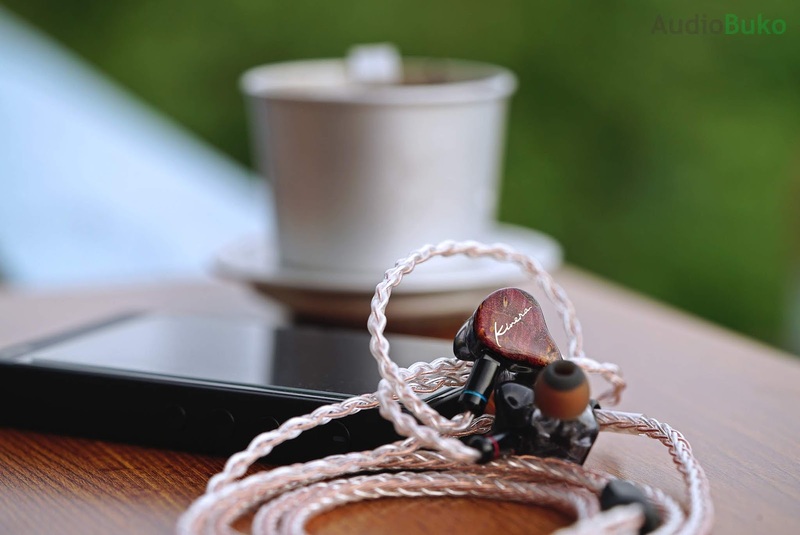 The Idun has less restrained reach for the mids and offers a bit more clarity and detail retrieval than the IT01, crispness is similar with the Idun edging the IT01 by a fair bit. Highs on both the Idun and IT01 reach further up (higher than the V3 at least) with the Idun edging the IT01 by a bit more. The IT01 displays more control with regards to sibilance and harshness though both are able to portray sounds in this area as naturally as possible (ex. cymbal crashes bloom out vs cut off.) The Idun has more sparkle and crisp, and a little more clarity than the IT01 though both are able to provide a lot of excitement. Soundstage on both are good and wide, though the IT01 edges the Idun on horizontal width while the Idun edges the IT01 on vertical depth and their difference is rather small. Both are able to accurately place the locations of instruments, voices and sound though the Idun edges the IT01 in layering and air by a fair bit. Conclusion: The Idun is a comfortable, good looking and moderately balanced IEM that provides a good amount of bass, satisfying mids, crisp highs, and have a good level of staging and transparency at a good price, there's little to not like (unless you're really a basshead or anything above moderately rolled off highs annoys you.) This is definitely a positive departure from the Seed and H3 in terms of sound, quality and overall value. Additional Notes: The Idun though easy to drive, scales well with adequately powered devices and may sound thin with under powered ones, while devices with high output impedance (of around 10 ohms or higher) can induce very slight sibilance. Nozzle tips also help better shape the sound of the Idun, with the Acoustune AET-07 being the best for my ears with "Sound focusing on wide-range clarity" and (compared to Symbio W tips which enhance overall frequencies nearly equally) bump up the bass without sacrificing the mids and enhancing the staging and clarity. 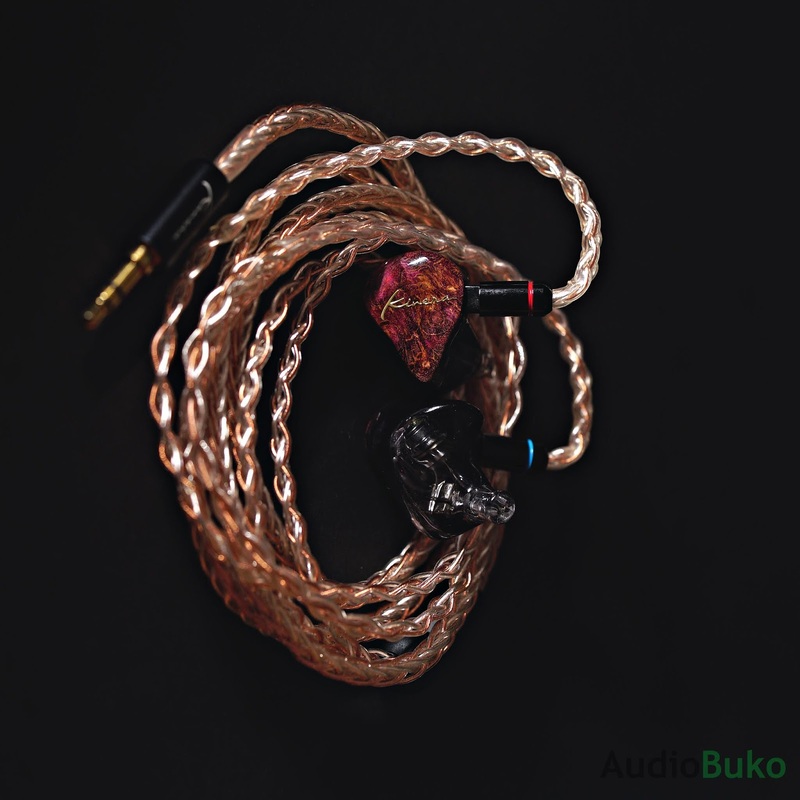 Pros: Balanced sounding, good clarity and detail, good fit, very nice cable, beautiful design, scales well.